Members of the Wayne Football Team posing for a picture. 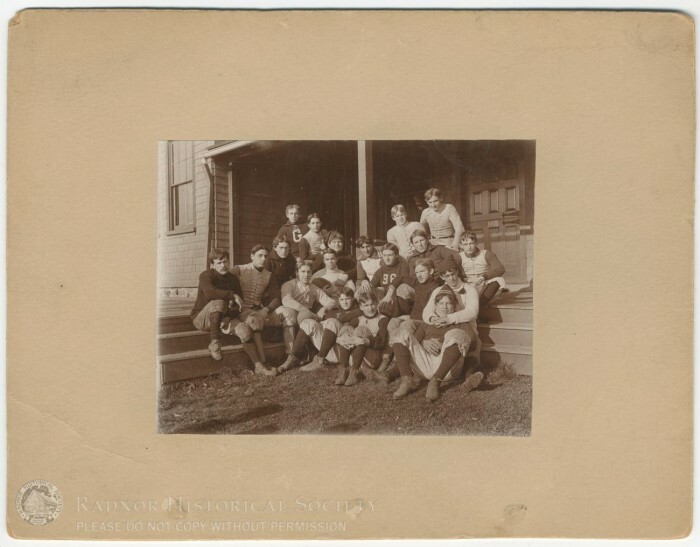 Handwritten on the back: "Wayne foot-ball team / fall of 1895". Also on the back a stamped image of a woman.